Increasing demands of child day care center-The necessity and benefits. Daycare is a necessity for most parents because many families require two incomes to get by financially. Others have made a personal choice to combine working and a supportive home life for the benefit of all members of the household. Single parents usually don’t have the capacity to raise their young ones and hold down a job at the same time. While the inability to do it all is often stressful for many parents, they can rest assured daycare is a viable option. It offers long-lasting social, economic and academic benefits for kids and their parents. Studies have shown that children, including babies and infants from the ages of 6 months to 4 years, benefit from the daycare environment, including its quality instruction, structure and social lessons. While choosing daycare may be a heart-pounding option for many parents, there is clear evidence children will benefit over the long term. Finding a quality daycare center where children are supported, engaged, encouraged and exposed to a positive attitude can help babies and toddlers set the groundwork for later intellectual strides. As kids learn to problem-solve and interact positively with other kids and adults, their parents can get to know one another and increase the social capital they hold in their community. Under a newly amended law, many employers in India are required to increase paid maternity leave and offer on-site day care services; some of the new standards await clarification. Providing crèche (day care) facilities is now mandatory for employers with more than 50 employees. Paid maternity leave has been doubled for women working at companies with at least 10 employees. Mrs. Arti Gautam (niece of my sister Mrs. Minaxi Sharma) Is a director of “Crawlers to Flyers pre-school and Day Care” in Vadodara, Gujarat. 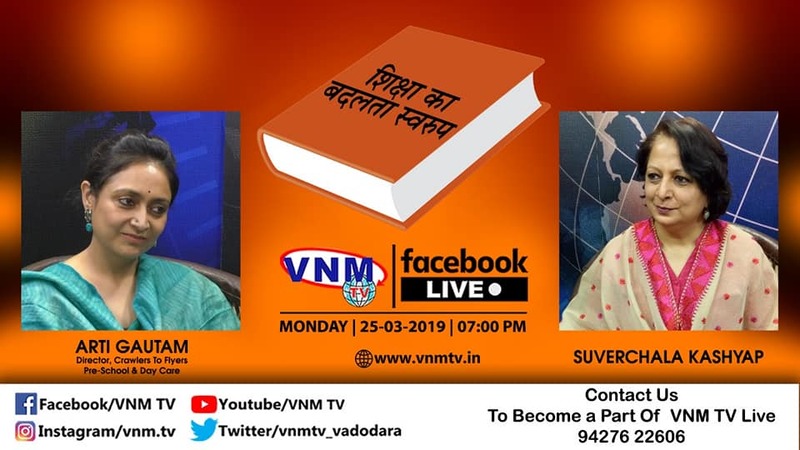 She was invited by VNM TV, Vadodara to discuss about the necessity and benefits of children day care centers and the new mandate by Indian government about providing mandatory facility for child care on site for the company with more than 50 employees. 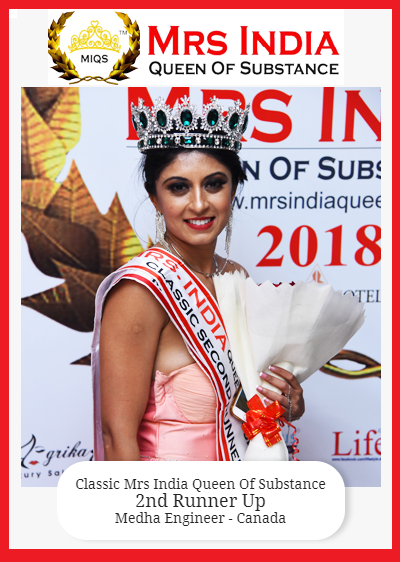 Medha Engineer from Canada was crowned as the second runners up as Classic Mrs. India 2018 Queen of Substance. Congratulations to Medha Engineer from Canada who was crowned as the second runners up as Classic Mrs. India 2018 Queen of Substance. Mrs. India 2018 Queen of Substance Pageant completed another successful year with its grand finale in the presence of Bollywood diva Mahima Choudhary and evergreen beauty Poonam Dhillon. With the crown on her head, winners stood before the audience as Mrs. India 2018 Queen of Substance announced their results of 3 days long beauty pageant held at ITC Welcom Hotel Dwarka. Shivani Naik Shah from Pune was crowned as Mrs. India 2018 Queen of Substance. Shivangi Saraf from Bihar and Dr. Amanpreet from United Kingdom tied on the first runner up position where as Anshu Varshney from Noida crowned as second runner up of Mrs. India 2018 Queen of Substance. In classic category Sonia Ahluwalia from United Kingdom was crowned as Classic Mrs. India Queen of Substance. Jhanvi Bajaj from Hyderabad was crowned as the first runners up position where as Medha Engineer from Canada was crowned as the second runners up as Classic Mrs. India 2018 Queen of Substance. Congratulations to all 49 finalist and 7 winners in particular.